Dissolver System – Chemical Products Dissolution System | Italtecno Srl. 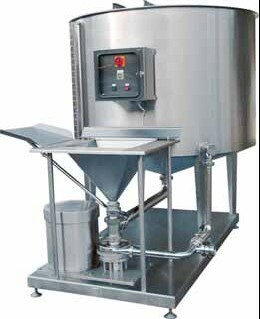 Italtecno make available to their Customers a very innovative Monoblock Tank DISSOLVER system for batch mixing of powder chemicals into liquid. The system is provided complete of a water softener. The fabrication is made around a built-in container in AISI304 stainless steel, with adjustable feet, and includes a control panel.